THE TWILIGHT ZONE Review: A Promising Return To A Dimension Of Mind | Birth.Movies.Death. 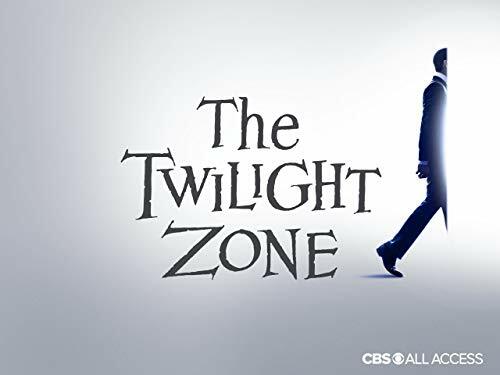 A brief description of the original Twilight Zone could easily describe a show made today: A genre-heavy anthology series with a strong social and moral conscience, and a habit of highlighting strong up and talent? Sounds like Peak TV to me. Now, thanks to Jordan Peele and Simon Kinberg, it is. This revival, the fourth television series to carry the Twilight Zone name, already looks like the most able of the post-Serling remakes, and that’s thanks in large part to Jordan Peele. Beginning in 1959, Rod Serling, the multi-talented creator, producer, writer, and host of The Twilight Zone, used genre frameworks to smuggle big ideas onto the small screen. Superficially, his 24-minute pulp stories weren’t staid dramas; they were wry and blackly comic entertainment. But Serling typically had more on his mind than plot twists and monsters. “Nightmare at 20,000 Feet,” with William Shatner as a man flying home after being hospitalized for an emotional breakdown, is a story about mental health, self-image and masculinity — and the creature Shatner’s character sees on the wing of the plane is thematically important, and a big sleight of hand trick to make the episode seem like fluffy amusement. Jordan Peele has spent years honing his own approach to meaningful popular entertainment. The sketch comedy series Key & Peele was ambitious, daring, and often incredibly funny — and it had a strong moral and social point of view that distinguished it from other similar shows. And you don’t have to look deep into Peele’s feature films, Get Out and Us, to see a strong Twilight Zone influence in the way that genre is used as a conduit for big ideas that reflect and criticize the culture in which Peele’s own entertainments were conceived. Simon Kinberg had been trying to make a new version of the series for a while, and Peele was the first person to be floated as producer and host for this new Twilight Zone who seemed appropriate for the job. His touch is evident in the first two episodes of the new hour-long series, despite the fact that neither feature him as writer or director. 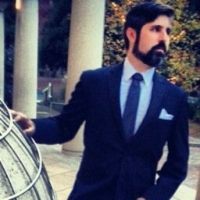 Alex Rubens (Community, Key and Peele) wrote and Owen Harris (Black Mirror’s “San Junipero”) directed “The Comedian,” while Glen Morgan (The X-Files) and Marco Ramirez (Daredevil, The Defenders) wrote and Greg Yaitanes (House, Banshee) directed “Nightmare.” But with Peele as a calm, capable host, there’s a sense of being led into the show’s weird alternate reality by someone who knows the way. These two premiere episodes — “The Comedian,” in which Kumail Nanjiani stars as a stand-up comic whose rise to fame comes at an outrageous price, and “Nightmare at 30,000 Feet,” with Adam Scott as a man whose ego and good intentions form a dangerous cocktail while aboard a plane — feel like The Twilight Zone. Each story deals with consequences and personal responsibility. These are morality plays, just as Serling’s original installments were, and like the best of Serling’s episodes these feature layers of interpretation that push each story beyond the most superficial reading. I responded more to “The Comedian,” in part thanks to Nanjiani’s well-pitched performance as a comedian whose career is tainted by bitterness and frustration even before a legendary comedy figure (an excellent Tracy Morgan, channelling Dave Chappelle) offers him a path to fame. The episode begins immediately with an overtly political rant before dodging into territory that is more powerful than any single-minded partisan screed. As Nanjiani’s character makes some very bad decisions, “The Comedian” tackles popular “canceling” culture, social media, and the price of fame — which may be a note that resonates personally for both Peele and Nanjiani. The tone and pace immediately place the show in the Twilight Zone, even as the visual style, which uses wide lenses to emphasize a sense of distorted reality and to isolate the primary characters, establishes a distinct identity for Peele’s incarnation of the show. To be brief, these new episodes are too long. “The Comedian” suffers from a too-repetitive setup that steps too gingerly through the concept. And while “Nightmare at 30,000 Feet” is an appropriate update to Richard Matheson’s script for the aforementioned William Shatner episode, with a concept that leans entirely on Adam Scott’s very good performance, it indulges with a coda that feels as if it comes from an entirely different narrative space than the rest of the episode. The hour-long format makes these two episodes feel more safe than they should — there’s extra time to second-guess, and to normalize the twisting concepts. Even with that in mind, the two premiere episodes of Peele’s Twilight Zone are effective, and relevant. This is not an extended fan-service endeavor, and while these two hours certainly nod to the series’ past (particularly in “Nightmare”) this revival immediately demonstrates that The Twilight Zone can be as viable now as it was 70 years ago, and that Jordan Peele is the best choice to take us there. The Twilight Zone episodes “The Comedian” and “Nightmare at 30,000 Feet” premiere on the streaming service CBS All Access on April 1.